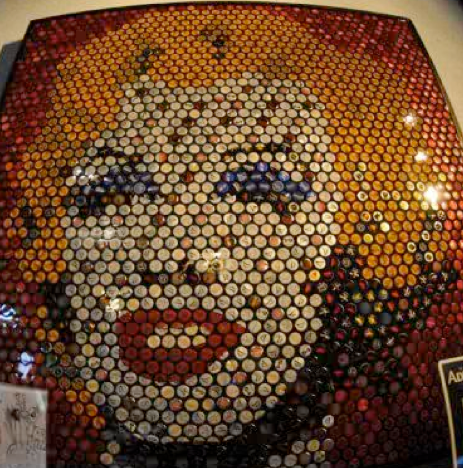 Two panels of the well-known image of Marilyn Monroe (in the style of Andy Warhol) were completed in 2010 . 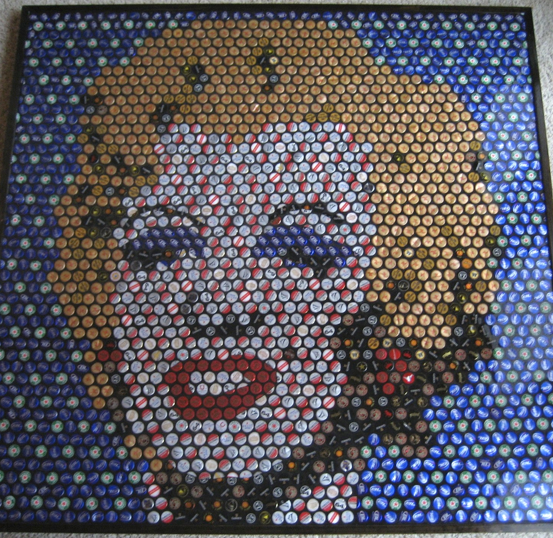 Both measures just over four feet square, and are composed of nearly 2000 various bottle caps. Built on a 3/4 inch MDF and trimmed with a minimalist wood stained to a Jacobean finish. The red piece (below) was sold in April of 2010 to D. Pennington of Dallas, TX.